A series of novel phosphorus, boron, and zinc-containing flame retardants (ZPEAs) were synthesized by the esterification of cyclic phosphate ester with different contents of zinc borate (ZnB), and then incorporated into amino resin to produce transparent fire-retardant coatings. The transparency analysis shows that the introduction of ZnB reduces the transparency of the ZPEAs and their resulting coatings which still exhibit high degree of transparency. 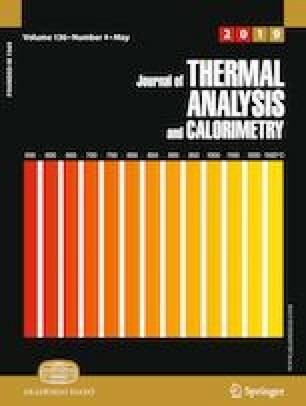 Thermogravimetric analysis shows that the introduction of ZnB greatly enhances the thermal stability and residual mass of the coatings. The fire protection tests reveal that the ZPEAs impart the low mass loss, char index, and flame spread rating concomitant with a high intumescent factor to the resulting coatings applied on wood substrates. The cone calorimeter and smoke density tests show that the heat release and smoke production of the coatings gradually decrease with increasing ZnB content, which is due to the formation of a more compact and intumescent char against the heat and mass transfer during burning, as judged by digital photographs and scanning electron microscopy (SEM) images. Fourier transform infrared spectroscopy analysis confirms that the introduction of ZnB significantly enhances the quantity and quality of the intumescent char via the formation of more phosphorus-rich cross-linking char and aromatic char in the condensed phase, thus endowing the coatings with excellent flame-retardant and smoke suppression properties. This work was supported by the National Natural Science Foundation of China (No. 51676210), the Hunan Provincial Natural Science Foundation of China (No. 2018JJ3668), and the Project funded by China Postdoctoral Science Foundation (No. 2017M612587).